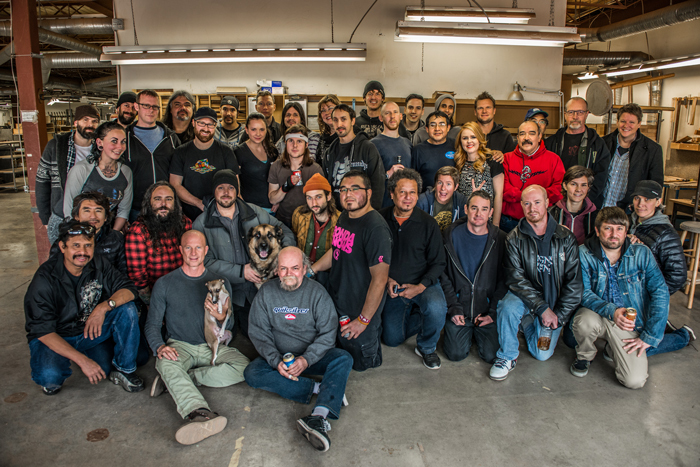 Today, we are a new generation of talented guitar makers - building instruments as extraordinary and unique as the people who craft them – and who play them. 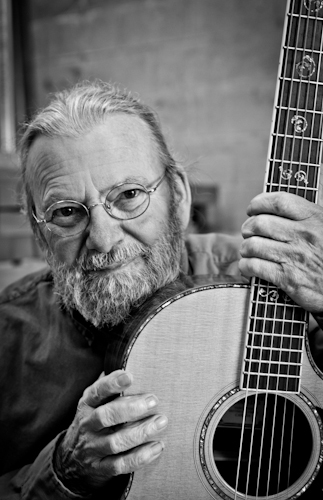 We are inspired by the passion, and guided by the lifetime of experiences of our leader, Jean Larrivée, whose legendary craftsmanship still finds its way into every guitar that bears his name. 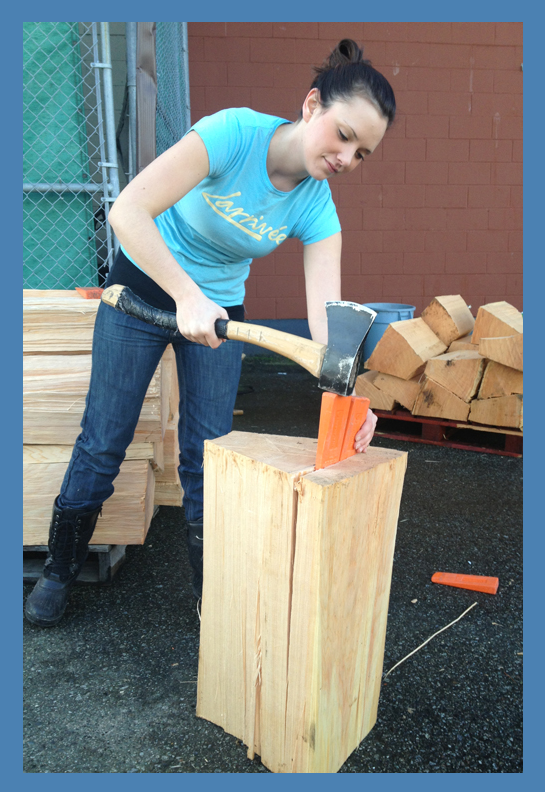 CARMEN BLADES - Vancouver Woodshop - Splitting Sitka spruce blocks. It's the late 60's. Trudeau is Prime Minister and Johnson is president. The hippie revolution is in full swing, and a young man, a mechanic by trade, is about to change the course of guitar making forever. Interested in classical guitar, Jean Larrivée attends a performance by skilled guitarist Edgar Munch Jr. After the show, Jean meets the performer's father – world renowned German luthier Edgar Munch Sr. Impressed by Larrivée's keen interest in classical guitar making, Munch agrees to take young Jean on as an apprentice. Jean spends his first three years working in his basement, until 1970, when he acquires his first commercial work space on the second floor of the Tarragon Theater. Amidst a thriving folk music scene, and at the urging of the Toronto Folklore Center, it's here Jean begins to explore the making of steel string guitars. During this time, Jean develops his unique X-bracing system – the key to the signature Larrivée tone that delivers crystal highs, soothing mids and punchy bass. It's a technique still used today, not just by Jean, but by leading guitar makers around the world. The next several years saw steady growth and several location changes for Larrivée. 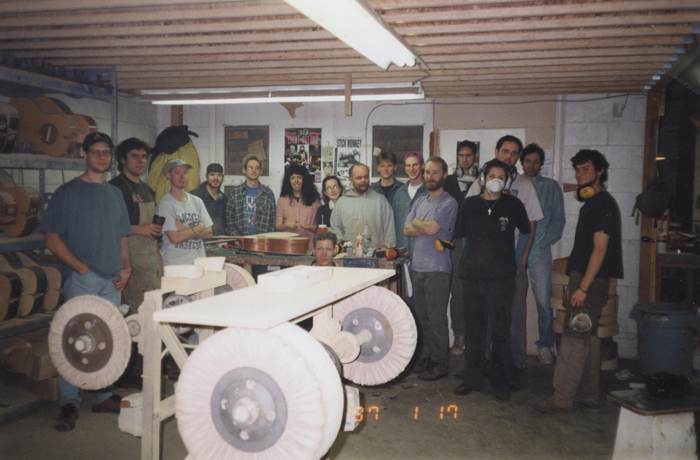 Young, now familiar, talented artists such as William "Grit" Laskin, Linda Manzer, Sergei de Jong, David Wren and Tony Duggan-Smith all grace the shop floor, lending their talented hands in creating a future legend. 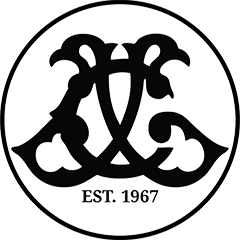 The most notable of all is Wendy Jones, whose skill and artistry ultimately leads to the spectacular and breathtaking inlays you still see on Larrivée guitars today. She soon became Wendy Larrivée, Jean's wife. 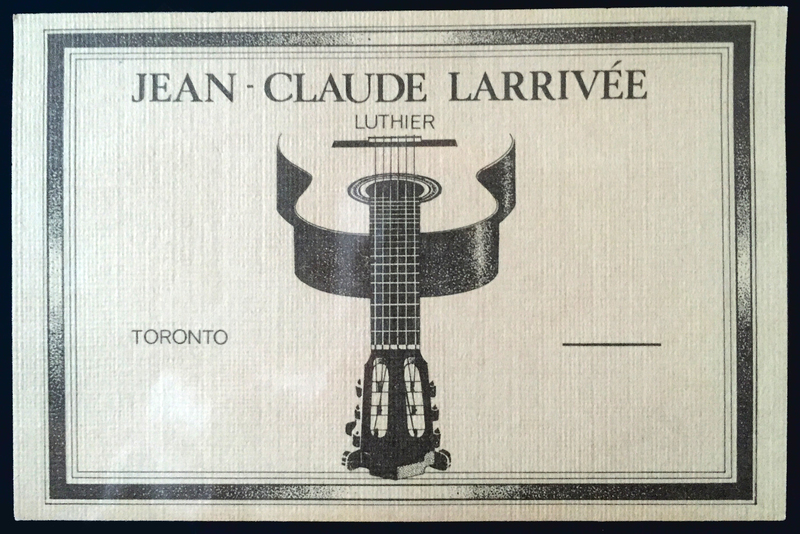 By 1977, Larrivée has gained the respect of players and luthiers worldwide. Bruce Cockburn and Peter Yarrow (Peter, Paul and Mary) become the first high profile artists turned on to Jean's guitars. Jean is now producing up to thirty guitars a month, shipping them across Canada and exporting them to Europe. 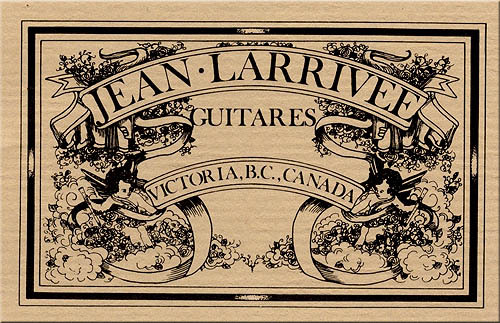 U.S. artists are also soon making the trip North, in hopes of acquiring a Jean Larrivée guitar. Seeking a warmer climate, and easier access to valuable Sitka spruce, Larrivée relocates to the spectacular West Coast of Vancouver Island, bringing with him with a handful of irreplaceable staff. In Victoria, Jean begins to incorporate new ideas in tooling and manufacturing, while still creating a hand built instrument. Increased precision with specialized machinery would allow him to produce more guitars - but as such equipment didn't exist, Jean created his own. He was soon producing four guitars a day, setting him on a prolific course that would stretch for the next 20 years. Jean also begins building relationships in the logging industry, specifically seeking access to high-performance Sitka spruce. But Jean not only wanted the best wood, he wanted to find it himself. He was soon exploring the rainforests of the north coast of Vancouver Island, discovering for himself some of the finest spruce in the world. With direct access to spruce and a climate favorable for building, the company continues to grow, but now faces the challenges of being isolated on an island. It means a relocation to the mainland. It is during this time that Jean's oldest son, John Jr, begins working on the shop floor along side of him. However, it's the 80s, and the music market is trending towards electronic keyboards and flashy electric guitars. Acoustic guitars were on the out. But ever the pioneer, Jean quickly adapts, using his deep luthier knowledge to build high-end electric guitars, not just for Larrivée, but for other companies, like Kramer, Schon and Signature. Again, Larrivée was forging his own path, constantly developing new skills that would prove invaluable down the road. Over these years, Larrivée develops advanced tooling and adds computer-controlled milling machines that help streamline production. But for Jean, it's not just about building more guitars, he wants to build them affordably. Jean's goal is to put high-end guitars in the hands of the everyday musician. To this day, this remains Larrivée's primary mission statement. By 1991, thanks in large part to MTV's Unplugged movement, the acoustic market is once again thriving - and so is acoustic production. Larrivée is now producing eight guitars a day, including several new models incorporating new wood selections. The North Vancouver shop is getting crowded. 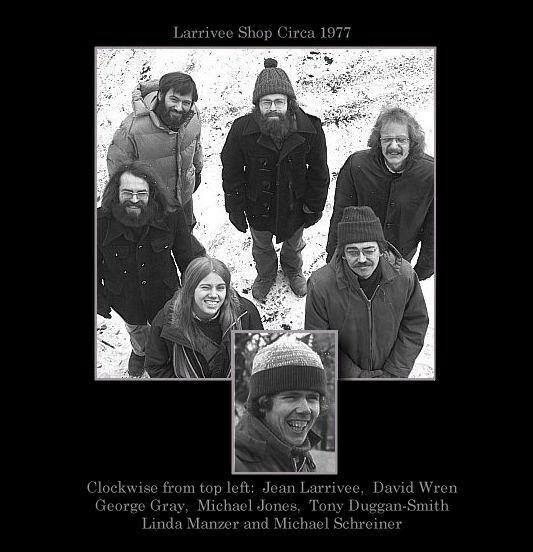 Larrivée is now employing over twenty staff members, including the last apprentice Jean would ever take on - David Iannone, who eventually goes on to pursue a successful career of his own. The acoustic market is now booming and the 16 guitars a day, 11,000 ft2 shop in North Vancouver is being pushed to its limits. Matthew, Jean's younger son, also joins the team to oversee the technical side of machining. After a short, 5 year East Vancouver location, Jean purchases a large two-story building on Cordova St. in downtown Vancouver. At 27,000 ft2, there's plenty of room to sooth Jean's growing pains. Soon multiple computerized milling machines are added. 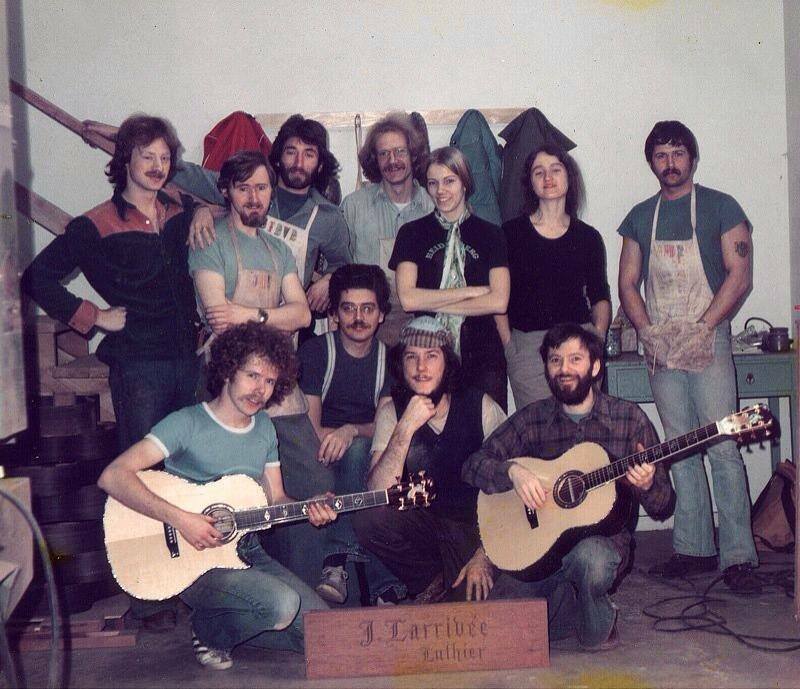 With now more than 45 staff, the production of 32 guitars a day had become a reality. 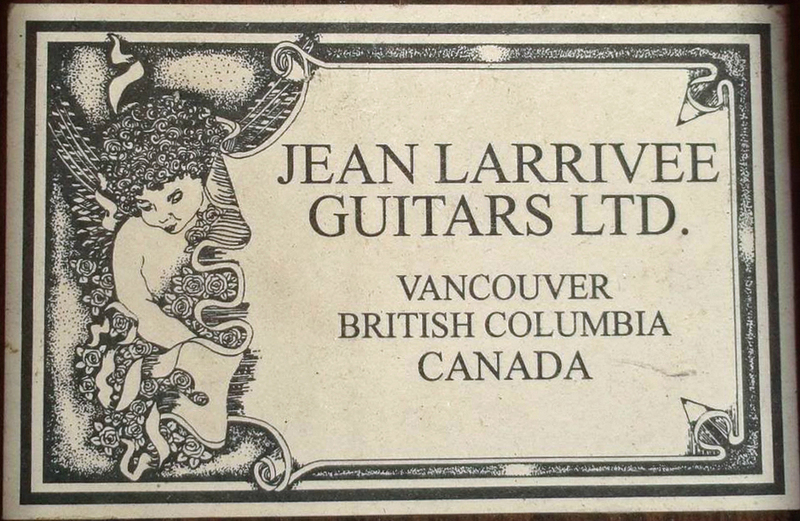 In 1997, Jean produces the first made-in-North America, all solid wood, high-end guitar for under $800. It's a move that changes the course of guitar history. Initially a limited edition, the remarkable D-03 soon becomes the workhorse for the Larrivée company, and for players alike. Demand for the guitar is so high more staff and computerized milling-machines are needed. Jean also begins to explore a long time dream of building guitars in the United States. 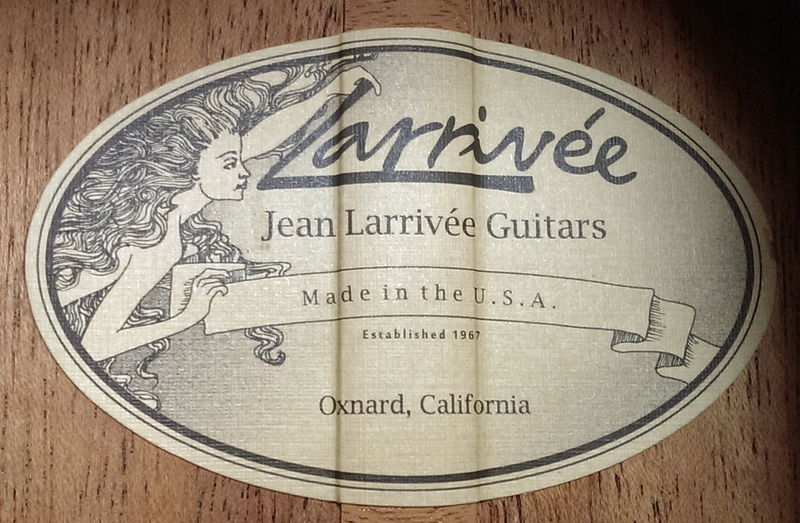 In September 2001, Jean opens the doors of a Larrivée workshop in sunny Oxnard, California. While his father and brother, Matthew, build in California, John Jr. stays behind to manage the Canadian operations, continuing their 13 year formula of success. With the popular 03 line now garnering the majority of sales, the time was right to separate production. Satin finish guitars were continued being made in Canada, while glossy guitars were now built in California. The move south further enabled the streamlining and efficiency in both lines of production. California is everything Jean hoped it would be. Sunshine and a warm ocean breeze consistently fills the air. With truckloads of supplies and machinery, Jean, a few staff, along with new friends, begin the next chapter of Larrivée. After months of hard work, the family is ready for production once again. Soon, even mandolins were emerging from the shop floor, as well as the re-introduction of high-end electric guitars. Unfortunately, the global recession of 2008 catches up with the luxury guitar market, ultimately making it uneconomical to produce guitars in multiple locations. In November of 2013, in an extremely difficult decision, Larrivée closes the doors on its Canadian operations, merging the Vancouver shop with the newly established California location. In California, Jean continues further experimentation in tooling and production, and introduces a new bracing system, now found on the 40 series. Still flanked by his two sons, he is now able to spend more time traveling abroad in search of increasingly hard-to-find tone woods. From the jungles of India, to the south of Spain, Jean continues his tireless quest to secure the finest woods in the world. Today, Jean is fresh into his 70s, and showing no signs of slowing down. Take a tour of the shop floor, and you'll still find a humble man working in the corner, covered in dust, carving necks, and still smiling.